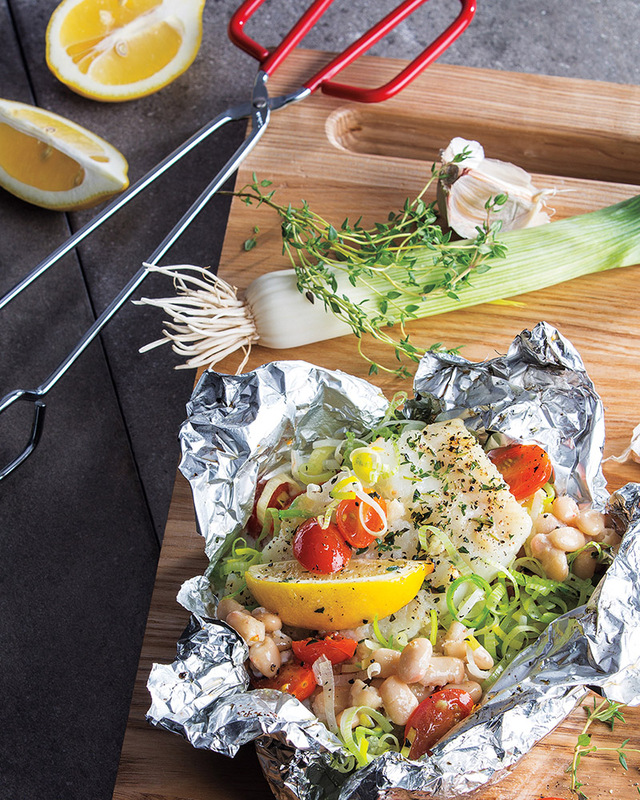 > Steaming in a pouch, called en papillote, secretly works to protect your fish on the grill. Bring this method indoors on bad weather days by wrapping your ingredients in parchment paper and steaming in a preheated oven. Make a tight seal with your packets and they should puff up. The parchment may start to slightly brown when it’s close to being done.